Never before released in North America, this entry in the Zenithia Trilogy follows a journey that transcends three generations. Travel alongside your father on his quest to see the world, grow to set forth on a journey of your own and face life-altering decisions as you continue your family's legacy. 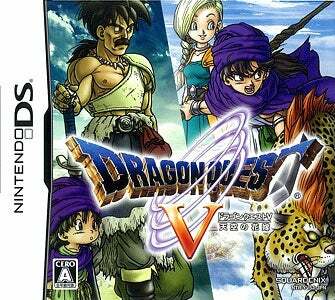 DRAGON QUEST V: Hand of the Heavenly Bride makes its way to Nintendo DS on February 17, 2009. Valkyrie Profile: Covenant of the Plume is set for a March 17 release. Destiny by sinner sought. Tragedy by power wrought. The origins of a cult classic are revealed in VALKYRIE PROFILE: Covenant of the Plume, the third entry in the critically acclaimed VALKYRIE PROFILE series. Development studio tri-Ace returns to craft a gameplay experience that boasts a captivating storyline with ties to Norse mythology and a familiar yet refreshing battle system enhanced with deeper strategic elements. VALKYRIE PROFILE: Covenant of the Plume marks the debut of the series on Nintendo DS with its arrival on March 17, 2009. These two additions join Star Ocean: Second Evolution, set to hit the PSP on Jan. 6 and Star Ocean: The Last Hope set for a March 17 release on the DS. That's quite a diverse protfolio Squeenix has going on.